UPDATE: As of 6:50am, this planned network maintenance has been completed. If you experience any wireless network connectivity issues, please contact ITS at extension x-7973 or email its@manhattan.edu. ITS will be conducting planned network maintenance on Monday June 19th, from 6am to 7am. 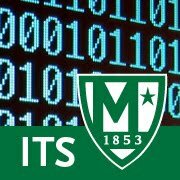 In order to improve the wireless network reliability across the Manhattan College campus, ITS will be conducting network maintenance on the wireless management server. This maintenance will affect the wireless network throughout the entire campus.